This Virtue model showcases a stonewash finished D2 steel blade and a titanium handle. 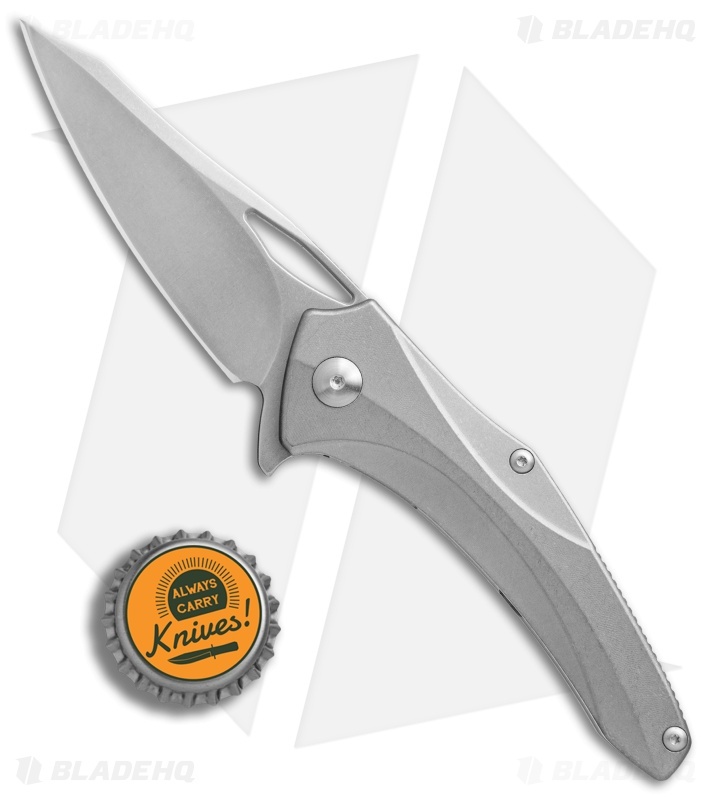 The Brous Virtue is a rock solid EDC flipper built with titanium construction and a stainless steel liner lock. Weight is kept at a minimum with milled out titanium scales, skeletonized liner lock, and a flow-through design. 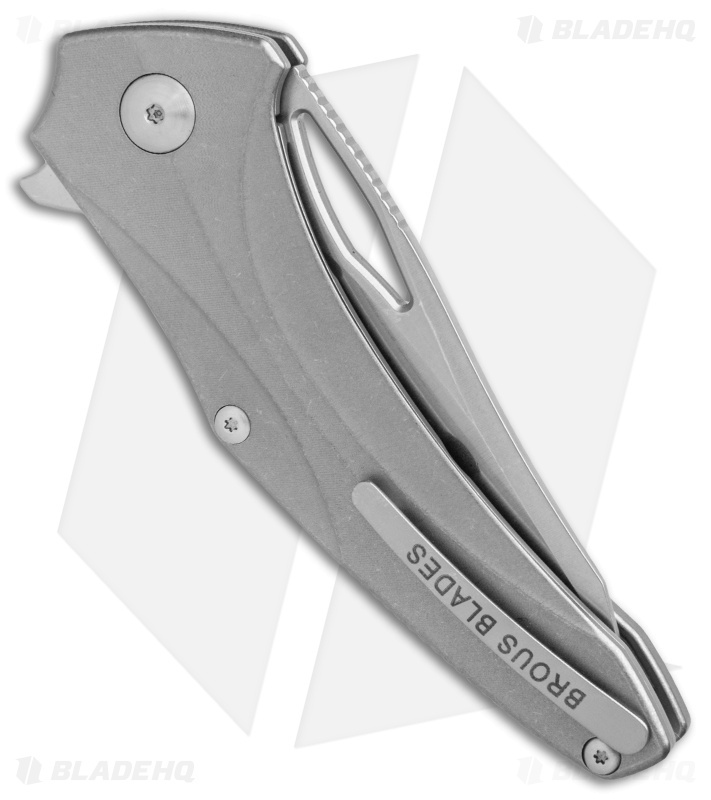 The dramatic clip point blade opens with authority on Brous' unsurpassed bearing system. 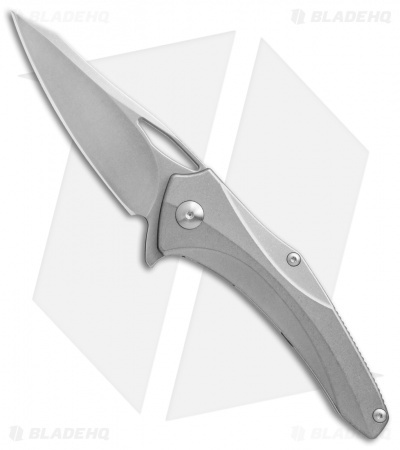 A 3D machined titanium pocket clip finishes off the impressive EDC design. 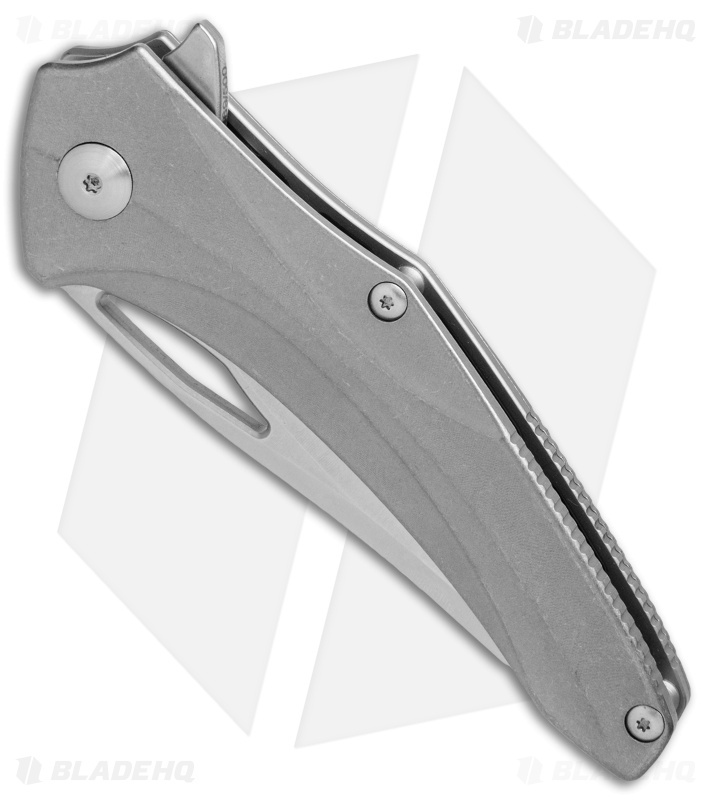 D2 tool steel offers a tough blade edge with excellent retention properties. Milled out titanium scales and a skeletonized steel liner lock reduce weight for comfortable ever day carry. Stand-off construction further reduces weight, while simplifying cleaning and maintenance. This knife is debatably the best bang for your buck knife out there. $161 for a flipper on bearings with titanium scales and stainless liners. 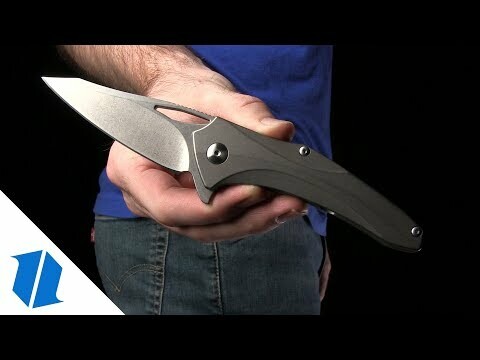 Jason’s D2 steel will surprise you. He has the heat treat nailed. The action on this is great like all of brous’ flippers. Perfect for edc.